Firmware Version 1.1.2 incorporates the following improvements to enhance functions. 1. The addition of a selectable color-tone option for the LCD monitor. 2. The addition of a function to append IPTC data. 3. The addition of a function to transfer only protected images. 4. The addition of a function to set the GPS positional data retention period. 5. An increase in the number of network connection settings that can be saved to a memory card from 20 to 40. 6. When retrying FTP transfer, extension of the minimum auto power off time to 10 minutes. 7. Improvement of wireless transmission when using Wireless File Transmitter WFT-E6. The Version 1.1.2 firmware being released at this time is for cameras with Firmware Version 1.0.2 or earlier. If the camera's firmware is already Version 1.1.2, it is not necessary to update the firmware. When updating the firmware of your camera, please first go over the instructions thoroughly before you download the firmware. The firmware update takes approximately six minutes. (1) Once the camera is updated to Version 1.1.2, it cannot be restored to a previous firmware version (Version 1.0.0 / 1.0.2). (2) "Camera setting files" generated on a camera with Firmware Version 1.0.2 or earlier cannot be used on a camera with Firmware Version 1.1.2 or later. 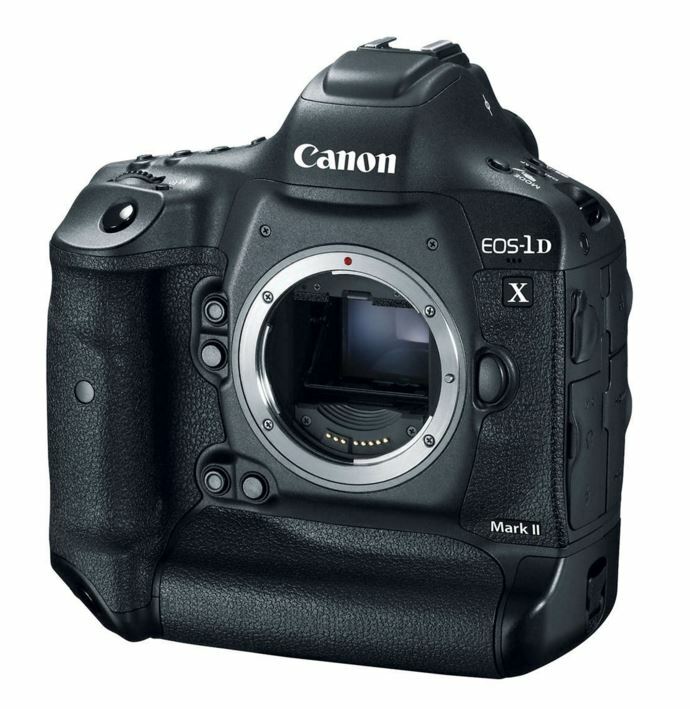 (3) EOS-1D X Mark II cameras with Firmware Version 1.1.2 require the latest version of EOS Utility. EOS Utility Version 3.5.0 or later can be downloaded from our Web site. (4) Download the latest version of the Instruction Manual which contains information regarding the enhancements provided through this firmware update. bytes) and instructions on the firmware update procedures (a PDF file in five languages: Japanese, English, French, Spanish, and Simplified Chinese). Q: Are the improvements from previous firmware versions included in Firmware Version 1.1.2? 1. Incorporates countermeasures for a phenomenon in which the bottom part of still images recorded to SanDisk CFast cards become corrupted. 2. Enhances communication reliability between the camera and CFast cards. If you are using the affected CFast cards, after having updated the camera firmware to Firmware Version 1.0.2 (or later), please make sure to use the camera to format the CFast card. Please note that when using the SanDisk CFast cards listed below with the EOS-1D X Mark II, the bottom part of still photos may become corrupted. 1: Check whether the firmware version of the EOS-1D X Mark II is Version 1.0.2 or later. If the firmware version of the camera is Version 1.0.0, update the firmware to Version 1.0.2 or later. 2: Format the affected CFast card with the EOS-1D X Mark II with firmware version 1.0.2 or later. - An "ImgSaver.bin" file of several MB in capacity will be created in the "MISC" folder on the card. Do not move or delete the folder or the file on the card. - When opening the card slot cover, the access lamp may remain lit or blink for a longer duration. Remove the card only after having confirmed that the access lamp is off. When the access lamp is lit or blinking, recording to the card is in progress. A3: The speed for continuous data writing may decrease. If the data writing speed seems to have decreased during high-speed continuous shooting, please try to use the refresh tool to alleviate the problem. For any other technical questions concerning CFast cards, please inquire with SanDisk.